As the LA-based The 100 convention Con-Geda reels closer in (June 22nd-24th, Crowne Plaza LAX), the End of the World Events team has booked some exciting guests — both talent and crew! Con-Geda is proving that this is not just an event with the stars, but also with the behind-the-scenes people who bring The 100 to life. The next two talent guests are integral assets to the show as one is a strong LGBT character and the other is a flamekeeper. They’re also very powerful and resilient female characters. Joining the extending Con-Geda lineup is Jessica Harmon (Niylah) and Tati Gabrielle (Gaia)! Both ladies will be attending all THREE days and will be doing panels, autos, photo ops, meet and greets, and the “Dine With the Stars” session. Updated: Joining the talent lineup is Jarod Joseph-who stars as Nathan Miller! Like Jessica and Tati, Jarod will be a bonus guest with all the same things. Do you ever wonder who designs and pieces together the magnificent wardrobe worn by beloved characters on the show, such as Clarke’s Wanheda costume or Echo’s Azgeda warrior ensemble? Now, you’ll get the chance to meet the costume designer, Allisa Swanson at Con-Geda! Not only is Allisa a very talented designer, but she is also an expert on cosplay and will be judging the cosplay contest! Cosplayers and fans alike will love to interact with Allisa and learn the process of costume design and dressing up. More information about Allisa Swanson’s appearance can be seen below! Speaking of costumes, Richard Harmon will be in “full on Murphy mode” for an exclusive photo op. This is to be a fun one because who wouldn’t want to have their photo snapped with one of their favorite characters? For the Murphy fans, this is one op that should not be missed-as it will only be available on SATURDAY. For the game lovers in the fandom, there will be a raffle game night in which you can win cool The 100 prizes for charity! The money raised for game tickets and entries will be divided evenly between the Jasper Jordan Project and the Battle Scars Project, the official charities for Con-Geda this year. Lastly, (for now), we all get pretty hungry at conventions — but there is very limited time to eat, and how can we enjoy something if hunger strikes? We can’t! Well, there is a solution for that! Attendees can purchase a meal “lunchbox” to eat anywhere during the event, provided by the Crowne Plaza. Because nobody likes being hungry and having to miss out on the good stuff because of it. The tickets for the lunches can be purchased on the End of the World Events site, and are cheaper than purchasing them at the hotel. Now, you can enjoy the con without the annoying problem of going hungry. 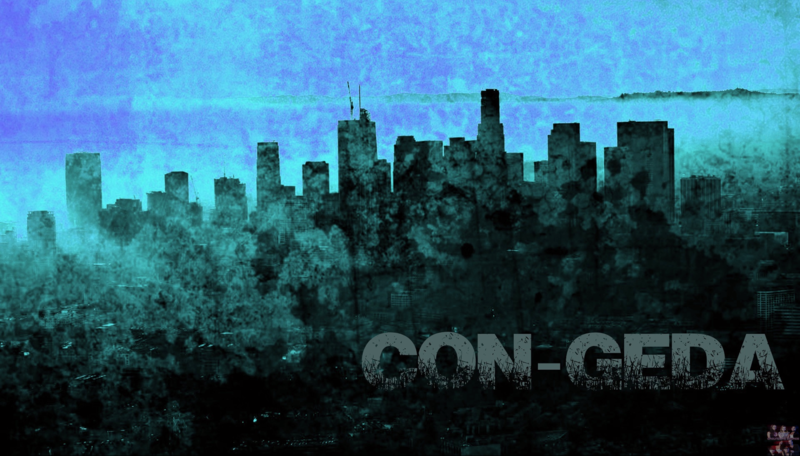 Con-Geda 2018 will take place June 22nd-24th in Los Angeles at the Crowne Plaza LAX. Discounted rooms are still available for the event and the link to book the rooms can be accessed through the End Of the World Events site. To purchase tickets, extras, and packages, please go here. To purchase photo ops, please click here. Make sure to come back for even more Con-Geda announcements. You can also follow them on Facebook and Twitter.